We are delighted to have finished work on three fantastic tree houses for Center Parcs. The treehouses, which are exclusive to Center Parcs Sherwood Forest, have been expertly designed to encompass key elements that are core to the Center Parcs experience; accessible luxury, sustainability and most importantly creating memorable moments for the whole family. Blue Forest and Jessops Construction completed the construction of all three tree houses in only 22 weeks. 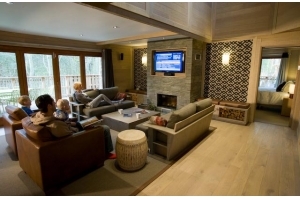 Sustainability and the environment are central to both Blue Forest and Center Parcs ethos. The Treehouses are the most sustainable accommodation that Center Parcs has developed to date. Each of the Treehouses features ground source heating, water recycling systems for the hot tubs and have confirmed ‘A’ standard energy efficiency ratings. 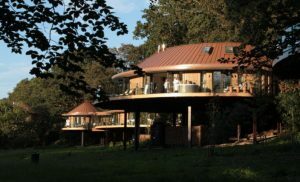 The Treehouses will be available to stay in from the 20th December 2010, subject to availability. Click here for more information and for a ‘virtual reality’ tour of the tree houses.